5.6 oz 50% cotton, 50% polyester. Oxford is 53% ployester, 47% cotton. Shoulder-to-shoulder taping; double-needle stitched; seamless body for a wide printing area; 1x1 ribbed collar. 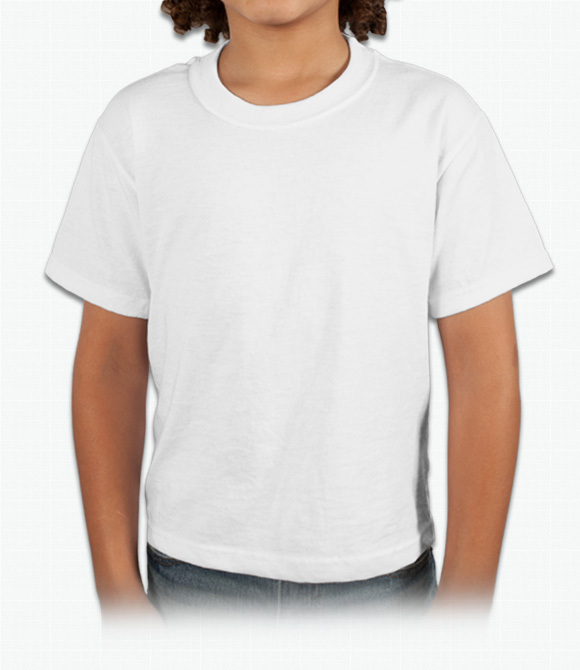 Great, durable, shirts that is built to withstand the punishment of an active child. Fits and feels great. "I think this is a great t-shirt for the price. It is pre-shrunk and definitely softer to the touch than others I've tried. " "The shade of color Adult to youth is a little different but we love the shirts. " "Shirts looked good but the sizing was off. Shirts fit smaller then expected."